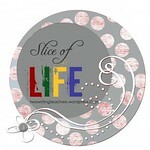 This post is for the Slice of Life Challenge hosted by Two Writing Teachers. Originally posted to my Tumblr, I'm moving it here so it's all together! I have a confession to make – I’m a hoarder. Now, before you call a full scale intervention, hear me out. My house has plenty of room to walk around, and there are no corpses of creatures lying in any corners. Well, maybe a few dead stinkbugs – but that’s it, I swear! I hoard a few select items. Books. I guess, as a card carrying member of the Nerdy Book Club, this goes without saying. I’m eternally grateful for a house large enough to support my habit, and a husband who is also a Tome Hoarder. We have shelves upon shelves of books we’ve purchased over the years. Somehow, we just can’t give them up. I never know when I’ll have the urge strike to reread one of my old favorites. Blank Journals. I start out with every intention of filling them… it just never happens. I do write, but usually directly on my computer. (Or my phone, or random scraps of paper – don’t judge me.) I just can’t stop buying beautiful or unique journals, though. I have dragon journals, flowery journals, even a Bouschh journal*. When I don’t buy them, I tend to get them as gifts. Boxes. Okay, maybe this one is a little bit creepy. I just adore any type of box. Jewelry boxes, small plastic boxes, pretty boxes, plain boxes. I covet them all. It’s downright dangerous to allow me to enter a Bed, Bath and Beyond store. Have you SEEN the divine boxes they have? If you give me a gift in a beautiful box, I’ll be doubly joyful. Do I use all those boxes? Umm… can I get back to you on that one? Is there anything you hoard … err…. collect?